“What happened to my tabs? And what is this hamburger-Chrome-looking button in my Firefox toolbar? 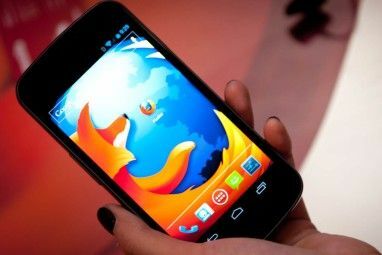 ?” These questions have been flying around among Firefox users who woke up one day to find themselves using Firefox 29. The newest version of Firefox includes several new and useful features Firefox Beta 29 Features Customizable Auralis Redesign, Encrypted Sync Firefox Beta 29 Features Customizable Auralis Redesign, Encrypted Sync Firefox 29 Beta has a whole new, simplistic design and comes with an easier and more secure sync service. The new look brings the Auralis design style, which Mozilla claims is simpler and easier to... Read More , but it’s also a major design overhaul. It doesn’t take more than a glance to see that Mozilla changed things from under you, making your browser look a lot like Chrome, or more specifically, like Firefox trying to look like Chrome 3 Firefox Add-Ons That Provide The Chrome Features You Love & Miss 3 Firefox Add-Ons That Provide The Chrome Features You Love & Miss As you’ve probably experienced yourself, when you get used to a browser, no matter the annoyances, there are certain features that really grow on you. Features you feel you cannot do without, and are keeping... Read More . So how do you get your good-looking browser back without giving up on those useful Firefox 29 features? These is a solution. This is what the new tabs look like on Firefox 29. Whether or not round tabs are your cup of tea, having completely transparent ones is just weird. Having all your unused tabs look like one big block of text can get confusing. Another major change is the disappearance of the Firefox button in favor of a very Chrome-like hamburger (or hot-dog) button. The menu itself is also completely different. Other, smaller changes, include different positions for the back and forward buttons, as well as the refresh button, all of which now live inside the URL bar. Can’t stand these changes? Or maybe you like some of them but not others? It’s all fixable with one simple add-on. Classic Theme Restorer eliminates many aspects of the new design, and brings back the good old elements of Firefox 28. Immediately after installing it, you’ll automatically get your old tabs back, as well as your old Firefox button. This is already a major improvement, but it might not be perfect for you. Luckily, Classic Theme Restorer is customizable, so you can choose what you want your browser to look like. The most exciting feature (at least for me), is the ability to retain the round-edged tabs, without having to deal with transparent ones. There are additional tab styles to choose from as well. The Firefox button, which you’ve just gotten back, is also customizable. You can choose to have it in its traditional place, or move it to your toolbar. You can also decide on its color and transparency. There are other things you can control from this screen, including the back, forward, refresh and stop buttons, which you can move back to the menu bar, and lots of other small tweaks. Some of these might require a browser restart in order to take effect. To get rid of the new hamburger button, all you have to do is right-click it and choose “Remove From Toolbar”. You’ll now be left with only the Firefox button you’ve just added. While these are the major gripes with Firefox 29’s design, Classic Theme Restorer lets you do even more. For example, you can control the color of your tabs, and assign different colors to active tabs, tabs you hover over, unread tabs, etc. The “Special” and “Special 2” tabs of the add-on’s options include more features to explore — some of which are a bit hard to understand unless you actually try them — but they’re all harmless enough. Feel free to check and uncheck options and see what happens. Most options are applied immediately. Don’t worry, you can’t really wreck anything or damage your browser with these options. Is It The Perfect Firefox 29 Add-On? Almost. While Classic Theme Restorer does a great job of eliminating those annoying new Firefox 29 design elements, it’s not completely bug free. Some options do nothing (at least as far as I could see), while others, such as the Firefox button in the menu bar, worked great at first and at some point stopped working right. Hopefully, these bugs will be fixed soon, but either way, and even with those bugs, Classic Theme Restorer is still an excellent way to easily rid yourself of the most annoying parts of the new design. Don’t forget to check out our best Firefox add-ons list for more great finds! What do you think of Firefox 29? Do you like the new design elements, or are you happy to get rid of them? FF 29 came out April 2014? Its now Jan 2015. In 9 months firefox has gone from v29 to v34. Doesnt anyone else see a problem with that? Why is that version number going up like a rocket? To keep up with Chrome?? How pathetic. Hmm, extra programs just to make this one work properly again. I got a better idea, F FF!! This slow decent into Chrome hell has finally gone too far. Pale Moon anyone? Nice one! However, I want the SEARCH input field to appear on each newly opened tab and the HIGHLIGHT ALL field next to it, as it used to be a few FF versions ago. I use SEARCH very often and find it extremely annoying having to do Ctrl F on each new tab and then having to move the cursor completely to the right of my screen to HIGHLIGHT ALL. Any chance that these fields will be customizable in the future? Bottom line, if your only problem with the new version is how it looks, go get a theme and/or a skin. There is a Mozilla sponsored site for this, it's really easy and solves almost everything people are complaining about. They moved the menu button and changed the default theme. That is all. And they increased a version number for that change. Isnt that pathetic? Why an entire version number? To keep up with Chrome? What a sad joke. Firefox should be back under version 10 still. At first I was very unhappy with the changes because for some reason the update for my theme didn't work. After a manual update though, I can actually say that I rather like it. I use FT DeepDark (makes everything dark so it doesn't hurt your eyes), but it also makes your tabs rectangular so I was shielded from the horrible curved transparent tabs. Pretty much the only difference now is that the Firefox button is now the "Hamburger button" and I'm okay with that because it gives me more space for tabs and it's obvious that the intent was to make it easier to use on touch enabled devices. 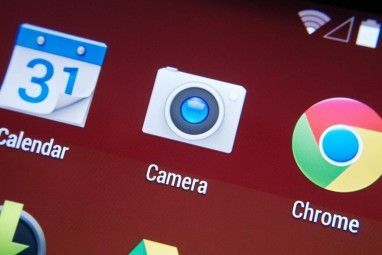 I do cringe at the similarity to Chrome, but I accept it. The only changes I would like is for them to change it to a Firefox button like in the picture above and to color the button either orange or purple. This gives it Firefox identity and allows you to distinguish between normal and private mode. 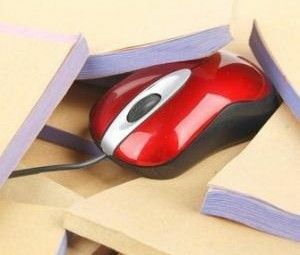 Nothing annoys more than the art department fiddling around with the daily basics of computer use. The OS and the browser are not little 99c "apps" in the "play" store, they are bread and butter software in daily use by tens of millions of users. Underneath Windows 8.1a and Firefox 29 is are millions of lines of useful practical code developed over decades by real software engineers. These icon and button "designers" from the "look and feel" department can trash all the hard work that makes Firefox the best browser ever written in one "update". It's like the store putting "new" and "improved recipe" in some stupid unreadable font on your favourite cookies. Everyone knows it is the same old cookie underneath, but they have to keep "rebranding" it to make it fresh. Please Mozilla, give FF an optional set of "skins" to fiddle the "look and feel" for those that have time to mess with the actual browser. Most of us want the browser to just sit in the background so we can get some damned work done. I have no use for a new tricky-dicky book that hinges upwards - I just want to read what the author has written. For me it is content, content, content - not the pretty new buttons on FF or Win 8.1a & etc. Well, it seems to me that the best way to retain the look-and-feel of FF 28 is simply not upgrade to FF 29. I agree, but eventually we'll run into severe security problems. I've just started using Palemoon 24.5 which looks like a slightly older version of FF. There's a tool to import all your old FF settings which does a pretty good job, but I had to reload a few of the add-ons separately. You can do that, but newer versions will continue to get released, and you'll be stuck with an old one. That's not ideal. Also, there are some cool features to enjoy in 29, and I'm sure they'll add more in the future, so why let looks stop you? I have to totally agree. After learning of Classic Theme Restorer, I hastily upgraded to version Firefox 29 and then I installed the add-on. I don't want to be too harsh about it, but if Classic Theme Restorer works, it apparently needs to be tweaked. I didn't have the time (or patience) to be playing around all day, so I went to work to replace version 29 with the last release of version 28. I might try again some day, but no time soon. What about bookmarks? Can't bookmark except by using the star next to that weird-looking bookmarks icon, which just puts them into 'recently bookmarked'. I am now right-clicking everything I want to bookmark, and proceeding from there. I think this is the worst update they've ever done. There is really nothing positive about it, in my opinion. You can still bookmark using the star button in the address bar (right side). Click it once to bookmark, and then again to choose where you want to save the bookmark. This is actually unchanged from older versions. Seems to me that when you copy the design of someone else you are conceding that they have the market and that you are now just a copycat. Either FF is worthy of keeping and improving through incremental change or it is no longer relevant. Which is it, Mozilla? You seem to be telling us you are no longer relevant. Oh, praise the Lord for Make Use Of telling us about this old interface restoration tool. While I've always supported and applauded the many fine developments incorporated into Firefox over the years, these kinds of REVOLUTIONARY interface redesigns are maddening. You'd think the folks at Mozilla never heard of Microsoft's debacle with introduction of Windows 8. Did Mozilla not learn a valuable lesson from the public's outrage? While I am NOT anti-change, I strongly feel that interface adjustments should be introduced in an EVOLUTIONARY manner, not as radical changes such as Windows 8 contained, and such revisions should always be voluntary, if at all possible. Whether the Firefox changes were minor or radical is up for debate, perhaps, but the moment I saw the new look, I rushed to reinstall an earlier version of Firefox. I'LL decide when I'm tired of the tried-and-true ways of using my browser. Until I have the patience and spare time required to adjust, I have no interest in new ways of doing things being forced on me. I wish web site and software developers would let that thought sink into their heads. Thank you, Make Use Of and Yaraa Lancet, for introducing this add-on to us. I need to qualify my earlier comment. I may have been too hasty in singing praise for Classic Theme Restorer. I gave it a try, but fully restoring things to the old look I preferred may require more time than I am willing to devote just now. I'm NOT saying Classic Theme Restorer was ineffective; I just thought it would work with little or no effort and I just don't have time to be "playing around" right now. In the meantime, I'm finding I abhor Mozilla's radical redesign even more than Microsoft's recent -- and widely-hated -- redesign of Windows. I just hope Mozilla will soon realize that involuntary revolutionary interface redesigns are hated by many users. If updating to Firefox version 29 involved little or no changes to the interface, I would do it again in a second. Until that's the case, though, I'm sticking with the last release of version 28. Fortunately, de-installing version 29 and re-installing version 28 got me back in a flash. Just the same, I remain thankful to Make Use Of and Yaraa Lancet. When I have more time I might try again. Thank you. Tony, that's a brilliant commendation. Thanks! Yaara L....... Even your answer has a pink background in the square area. Both sides of this article are pink background. When I open Audacity... it has a pink background. Not sure what caused this . When I open Google News, the header is a pink background etc. Well, this sounds like something to do with your OS theme, not your browser. I'd guess it's something you can change from your OS's settings. Either that, or your monitor is acting up. That's another option. Unfortunately, since 27, Firefox has become completely unstable on my system and I'm unable to solve the problem (thanks everyone, but I'm not looking for suggestions; I've tried them all). So I've moved to Chrome, after staying with Firefox seemingly forever. Although I don't like it as much, it really is faster loading pages, and more importantly, doesn't crash on me multiple times per day. As for the change in looks, the problem with interface changes is, you can never please everybody, you can only force dissatisfaction on them. There will come a time when themes will get blocked by FF-DRM.....for quality control. I have not yet found a combination of themes or add-ons to set the navigation cluster in Firefox to the state that I desire. The Back and Forward buttons are anchored to the Address Bar so that I can't put Refresh or home to the right of them. I'll get over it, but it is somewhat aggravating. This add-on can fix that. I now have my back and forward buttons as well as my refresh buttons back on their old place in the toolbar. The add-on can also remove the anchored ones from the address bar. It's just a matter of tweaking some things in the add-on, it's possible! I have not found that to be the case. Back and forward are anchored to the address bar even with Classic Theme Restorer. Open the add-on's options and in the main tab check the box next to "movable back-forward button". This will give you the regular buttons instead of the anchored one. I may have to try this. I'm not a fan of the changes they've made, but at this point it's not a deal breaker. I used to use IE so Microsoft destroyed IE. I switched to Opera and loved it so the Opera Devs destroyed Opera. Will this get rid of the new pink background that mysteriously appeared when I use Firefox. This pink colour is everywhere. I'm not sure what pink background you're referring to. Where are you seeing it? Firefox 29 turns your tabs transparent, maybe that's where you're seeing pink? If that's the case, this add-on should solve that.